The UN, which is now essentially nothing more than the official world body for the Organization of Islamic Cooperation (OIC), is set to condemn Israel, predictably enough, for the crime of defending itself against violent protesters. Jihad armies descending on the Israeli border in order to annihilate the Jewish state on Pesach elicits no criticism. The UN for years has been obsessed with Israel, condemning it for nonexistent human rights abuses, while turning a blind eye to genuine human rights abusers such as Saudi Arabia and Iran. As the “Palestinians” gear up for a new round of their jihad against Israel, watch for the UN to rain down condemnations upon Israel. The UN Security Council will hold an emergency meeting on Gaza Friday night, after Palestinian officials said 16 Palestinians were killed and over 1,400 more injured in deadly clashes with Israeli troops during a massive border protest. The meeting, to be held at the request of Kuwait, was to begin at 6:30 p.m. New York time, a diplomat said on condition of anonymity. It was to be held behind closed doors, meaning Israeli and Palestinian representatives would not be able to attend. The move came as Palestinian Authority President Mahmoud Abbas said he had asked the United Nations to immediately work toward providing protection for the “defenseless” Palestinians. Friday’s clashes were the deadliest in the Israeli-Palestinian conflict since the 2014 Gaza War. Israeli troops used live ammunition, rubber bullets and tear gas to keep thousands of Gazans from trying to approach the border fence. The military said protesters threw firebombs and rocks at soldiers, rolled burning tires at them and in one incident opened fire. The IDF spokesman Ronen Manelis said the IDF faced “a violent, terrorist demonstration at six points” along the fence. He said the IDF used “pinpoint fire” wherever there were attempts to breach or damage the security fence. “All the fatalities were aged 18-30, several of the fatalities were known to us, and at least two of them were members of Hamas commando forces,” he said in a late afternoon statement. Israel was condemned by the Muslim world over the violence, with many accusing it of using “disproportionate force” against Palestinian rioters. “We strongly condemn Israel’s use of disproportionate force against Palestinians during the peaceful protests today (Friday) in Gaza,” Turkey’s foreign ministry said in a statement Friday. Jordanian minister Mohammed Momani said Amman was holding Israel responsible for the use of “excessive force” against what it said were peaceful demonstrators, the state-run Petra news agency said. Egypt also condemned the use of “violence” against what it said were unarmed civilians and called on Israelis to avoid excessive force. The Arab League put out a statement condemning Israel “for its brutal handling of peaceful demonstrations,” according to the UAE-based al-Bayan news outlet. “Today we saw yet another example of Hamas exploiting civilians as they sent children to the fence with Israel intentionally endangering their lives. The international community must not be deceived by Hamas’ attempts to conceal their crimes,” Ambassador Danny Danon said in statement…. 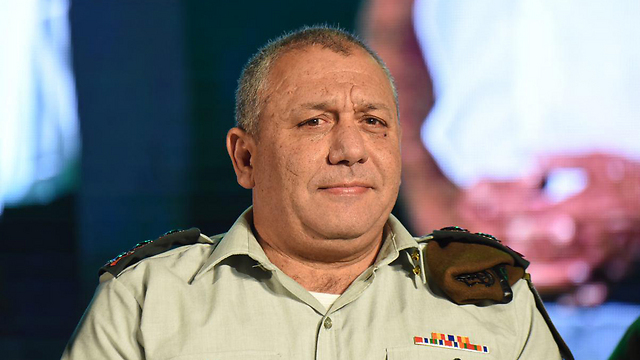 In an extensive interview, IDF Chief of Staff Lt.-Gen. Gadi Eisenkot talks Iran and Syria, the Palestinians, women and haredim in the army, and his Moroccan roots. The Chief of Staff of the Israel Defense Force, Lt.-Gen. Gadi Eisenkot, squirms uneasily in his swivel chair. Doesn’t the IDF have enough money to buy the chief of staff a more comfortable chair? We ask him. Eisenkot is the IDF’s 21st chief of staff. He will turn 58 this May, making him one of the oldest chiefs of staff the IDF has ever had. Born in Tiberias and educated in Eilat, he spent lots of time sailing. His parents were born in Morocco. Four months ago, Eisenkot participated in the Countering Violent Extremist Organizations Conference in Washington where chiefs of staff from 70 countries gathered to brainstorm about how to neutralize the threat of Islamic State. The interview with The Jerusalem Post’s sister publication Maariv was held in Eisenkot’s office on the 14th floor of the Kirya, the IDF general staff building in central Tel Aviv. It took place on March 21, the day the Israel military censor finally agreed to release information about Israel’s attack on a Syrian nuclear reactor. Eisenkot explained that even before he was updated by then-IDF chief of staff Gabi Ashkenazi about the plan, he received details from senior Mossad contacts close to time of the incident. Eisenkot did not try to wiggle his way out of answering our questions; the interview lasted more than 90 minutes. The chief of staff divulged to us that in the last year, Israel carried out hundreds of attacks to prevent Hezbollah from strengthening. As a result, the Shi’ite Lebanese organization does not yet have precise missiles capable of hitting specific targets in Israel as was previously reported. On May 12, US President Donald Trump is expected to announce whether his administration will decertify the Iran nuclear deal. What’s the best scenario for Israel? “Our goal is to prevent Iran from achieving nuclear capability forever. The question is: Which method will have better results? The current debate is based on whether the deal will be helpful or not. Everyone agrees that the deal is not good enough, and that it has many holes. It has, however, brought about a change in strategy. The involvement of international supervision has delayed their nuclear plan for 12 to 14 years. Then again, we can also look at the glass half empty, which everyone agrees on, that what the Iranians really want is to achieve nuclear capability. In the meantime, they’ve made a decision to stop this process for a period of time. Is it possible that a country like Saudi Arabia, which has spoken about the possibility of Iran achieving nuclear capability, could also be preparing a surprise for us, a surprise like the Syrian nuclear reactor? We should always assume that we don’t know everything. In the complicated reality of the Middle East, every country is trying to gain advantage and protect its interests. Therefore, we must invest our energy in intelligence gathering about possible threats from our close neighbors. Do you think we should be worried about Saudi Arabia in particular? The Saudis’ public stance is that if Iran reaches nuclear capability, the Saudis will, too. What that means is that they do not currently have these capabilities. But Saudi Arabia is a wealthy country, and therefore has no budget constraints regarding the purchase of advanced technologies. Saudi Arabia has requested from the US nuclear reactors for civilian purposes. Is Israel objecting to this? We’ve had a long-standing objection to this for years, since having such a platform could be used as a stepping stone to military use. Have you met yet with MBS [Mohammed bin Salman, the crown prince]? Rumor has it that he met with senior Israeli officials. With MBS? If you mean Meir Ben Shabbat [head of Israel’s National Security Council], then yes. Can we talk about an Israeli-Sunni coalition? We are collaborating on intelligence and security issues with countries with which we have a peace agreement, as well as working on secret deals. I wouldn’t say we have a deal, but we’ve identified common interests, which includes neutralizing the Iranian threat and bringing about regional stability. We also have a common ally – the US. Times are changing and the issues that were obstacles in the past no longer are, such as the Palestinian issue. This problem has diminished but not disappeared altogether. That’s right. It is still central, but has diminished in importance since we face common threats and we both benefit from this cooperation. Once when I was at a conference, a Saudi general got up and gave a speech that easily could have been given by Nitzan Alon, IDF head of Central Command. 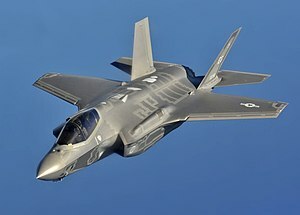 Since the F-16 was downed, has the Israel Air Force been actively operating in northern Israel? Yes. This intensive campaign is giving expression to the IDF’s strong points: our superior intelligence gathering, our air capability in the Middle East, and the fact that Israel is considered the strongest entity in the region. Israel is working around the clock to promote our interests, which include preventing our enemies from achieving advanced capabilities. For years now, Israeli citizens have been living under calm conditions. Unfortunately, we only speak of these issues when missiles are shot at us. Considerable secret activity is also being carried out by the IAF and Navy, which add to the security of our country and enable us to live safely. These are the challenges the IDF faces. What threat do we face from the Iranians on our Syrian border? Actually, the Iranian presence in Syria has lightened in recent years, as they’ve tried to reduce their casualties. At one point, they had 3,000 troops stationed there, but today there are much fewer. They’ve gradually built up a militia of 10,000 fighters, mostly Shi’ites from Iraq, Pakistan and Afghanistan. They get paid hundreds of dollars – an amount they never could have dreamed of earning back home. One-third of Hezbollah’s main army is stationed in Syria. In total, they have 20,000 troops under their command. So why all this talk about an Iranian presence near our border? What’s happened in Syria over the last six months is that the trend has changed. Islamic State has been subdued and the Iranians realized that they can move on to Plan B – their vision in which they achieve Shi’ite hegemony in the region. They saw that the best conditions for setting up air, land, sea and intelligence centers in the Middle East was by building a base in Syria. They’ve been investing a lot of money in Syria. They want to station a huge number of troops there, and have been hoping to even have use of a port there. They also have plans to build military air bases along the border. This is where we draw the red line and say we cannot allow this to happen. For months, we’ve been dealing with this issue. Over the last year, the IDF has been actively working to prevent the Iranians from getting close to our border. The bottom line is this: They haven’t dared to get close to our border because they know that they’ll pay a heavy price if they do. And nevertheless, they still sent a drone into our airspace. The Iranian drone was a crossing of our red line. This was the first time the Iranians crossed over into Israeli territory. At least we were given a glimpse of their device. What’s our current policy regarding Syria? Since the outbreak of the Syrian civil war seven years ago, our policy has remained constant: to avoid direct involvement; to aid in efforts to overpower al-Qaeda and Islamic State; to create a neighborly relationship all along the border; and to prevent the Iranians from building up a base on Syrian land. I believe these policies are correct, and we have been successful in implementing them. Have we been mistaken in our approach toward Islamic State? Islamic State is an incredible phenomenon that has grown out of globalization and terrorism. It poses a very significant threat. Whoever thinks that Islamic State is a positive force since it’s fighting against [Syrian President Bashar] Assad is absolutely wrong. We need to think about the long term and where Islamic State could reach if it weren’t stopped. The coalition that has formed to fight Islamic State is larger than the Allies that fought Hitler. Seventy states, including the US and Russia, have been fighting together for three years to overcome Islamic State, and the organization is still alive and kicking. Defeating it is a shared goal for Israel, Iran, Turkey, Russia and the US. If we look at what happened since the Arab Spring in Libya, Iraq, Yemen, and to a certain extent in Syria, we will see that chaos has ensued in every country in which the leader was brought down. Therefore, the only types of rule that I can foresee succeeding in the Middle East (except maybe in Lebanon) are a religious, military dictatorship, monarchy or chaos. Let’s not forget that former Egyptian president Mohamed Morsi, a member of the Muslim Brotherhood, was chosen through democra tic elections. We must keep in mind that Assad is a murderer and it is immoral to support him. So what lesson should Israel learn from all of this? The lesson Israel and countries all around the world should learn is that there needs to be someone who takes responsibility and is accountable. When I joined the prime minister on a trip to meet with the Russian president, he said that the lesson he’s learned from Syria is that we need to have a responsible body in charge, and I agree with him. Do you agree with Israel’s policy that action should not be taken to prevent our enemies from becoming stronger? It’s a known fact that Hezbollah used to have only tens of thousands of missiles and rockets, but now they have more than 100,000. The claim that we’ve allowed Hezbollah to grow stronger is false. We’ve increased our efforts tremendously over the last three or four years. Granted, it’s extremely difficult to prevent countries and organizations from becoming more powerful. But we still have a lot of work to do to slow down their progress. We’ve succeeded in drastically thwarting Hezbollah’s progress and other dangerous entities in Syria. And there’s activity around the clock. Amir Eshel, a former Israel Air Force commander, claims that there’ve been a hundred flights, so that means that all in all there’ve been hundreds of actions taken that were meant to prevent and limit the enemy’s progress. The result is that Hezbollah is incapable of attacking a specific target within Israel. It cannot arm an airplane or shoot a missile that will hit a specific target inside Israel. We, on the other hand, have tens of thousands of opportunities to harm them. Would achieving this capability be a casus belli for Israel and justify a preemptive strike? What if our intelligence missed some information and Hezbollah actually has precision missiles in its arsenal? The question is: Do they have a few or are they being mass produced in factories? If it’s the latter, and they have an entire arsenal of precision missiles, then that is something to worry about, but I don’t think we need to worry about that at present. Do you think it’s a matter of months or years? It depends on what actions we take, but I don’t foresee such a threat in 2018 or even 2019. We are actively working around the clock with the most advanced technology available to prevent such an attack. We have the best intelligence gathering, and the capability to hit thousands of targets in one day, with exact precision. Very few militaries can say the same. We also have the best security systems in the world and our enemies are well aware of them: Iron Dome, David’s Sling and the Arrow. Let’s talk for a minute about the Palestinian issue. Do you believe that the Palestinian Authority and Mahmoud Abbas are adding to Israel’s stability? Abbas is 83 years old and not in the peak of health. He’s not in a life-threatening situation, but he and a few other Palestinian leaders are unwell. It is absolutely in Israel’s best interests that the PA have a strong, well-functioning leadership that has a good relationship with Israel. There are 2.8 million Palestinians living in Judea and Samaria, and someone has to manage their lives. It’s not hard to imagine what would happen in the absence of such leadership. We certainly don’t want their health and education systems to collapse. We want law and order and a working police force. Otherwise chaos will overtake everything. Who do you think Abbas’s successor will be? I don’t want to name names. What’s important to us is that the PA and its security forces function properly. What about the Gaza Strip and Hamas? Even if we are really, really unhappy with the ruling party in Gaza, it’s still much better than not having anyone in charge at all. The debate on whether or not we should try to bring down Hamas is complex. What would be the alternative – a Gaza that turns into Somalia? It’s always better to have a ruling body to take care of residents, no matter how bad it is. How worried are you about the mass march in Gaza and the protests planned for this Friday? We are reinforcing the barriers and a large number of IDF soldiers will be stationed in the area to prevent any attempts to trespass into Israeli territory. Will there be any firing of weapons? What are your thoughts about the general situation in Gaza? I’m very concerned about it. A humanitarian crisis is ensuing and there are severe problems with regard to water quality and the lack of electricity. The health system has practically collapsed and rising sewage levels and pollution are spilling over into Israel as well. Poverty in Gaza is overwhelming. Hamas is losing control and its relationship with the PA is deteriorating. Despite all this, it continues to build high-trajectory rockets and anti-tank missiles and purchase materials needed to construct underground tunnels. Yoav (Poli) Mordechai, the coordinator of government activities in the territories, has been making great efforts to attract world attention to deal with Gaza. On the other hand, some politicians are happy that Trump announced the US will be cutting the budgets of the UNRWA and PA. What is the IDF’s policy? We suggest differentiating between the two parts. Firstly, it’s in our best interest that Gaza have functioning electricity, water and health systems, and that the ground water remain free of disease, which could lead to massive sickness. Secondly, it’s important to know that our interests are conditional. We do want Gaza to have an open port, thriving commerce, and better living conditions. But in order for that to happen, we must first bring Operation Protective Edge to a close. Hamas must return the Israelis who are being held captive there, as well as the bodies of the two fallen IDF soldiers. From our point of view, they must comply with these preconditions before any progress can be made. The person responsible for making this decision is [Hamas leader Yahya] Sanwar, who is focusing on a few hundred Palestinian prisoners sitting in Israeli prisons. He is keeping more than two million Gaza residents hostage because of his primal fear of his friends in prison. It’s still not clear what the IDF’s policy is regarding the Palestinians. This is a political question. In the past, the lines were clearer. After the Oslo Accords, we knew what the three stages were; we knew what direction we were going and what the final status was supposed to look like. Since 2000, this process has become disjointed and is constantly changing. In this complicated reality, in which there are so many internal disagreements within Israeli society, the IDF’s role is to provide security and freedom for the politicians so that they can make decisions from a position of strength, and not while dealing with an intifada or running for cover from a barrage of rockets. In my opinion, we’ve been quite successful in our efforts to compartmentalize the two sectors of terrorists and civilians. Is Israel’s existence being threatened? I don’t see any threats to Israel’s existence. From a military point of view, Israel is invincible. Despite the reduction in the size of our reserve soldiers, we still have the largest military in the Middle East – even larger than Turkey’s army. I’m not saying this to be arrogant; it’s just that I know what our capabilities are. When I’m asked what I’m afraid of, I reply that I’m concerned that the sea is a noisy border that could become louder. Are you referring to comments about the IDF being weak and worried? All of these comments about the IDF being weak are complete nonsense. They are baseless and are not new. They’ve been circulating since 1995. I won’t say that I love the idea, but they are part of an effort to promote false agendas. Roni Nomeh Alov, OC Central Command, who is finishing his term, said that during his tenure we killed 253 terrorists. Only four of them turned out not to have been involved. In the eight years before Nomeh was in charge, we killed only 115 terrorists. I don’t like employing the “blood test,” but the statistic does prove that the IDF has deployed a large number of forces to thwart terrorism. The problem is that these lies slowly turn into reality. Doesn’t this affect your choices? The people who are making these statements are trying to promote a specific agenda and this is unacceptable. I don’t know the opinions of each and every major-general in the Central Command. Yair Golan [the deputy chief of staff who compared the Weimar Republic to Israel] and Nitzan Alon [who was called a leftist by the extreme Right, and activists protested in front of his home] are two officers who’ve contributed to the security of Israel a hundred thousand times more than the people who criticize them. It’s a shame that people spend so much energy trying to vilify IDF officials. What is your opinion on the exclusion of women in the IDF? These are the same people I already mentioned. There was no joint service when I was doing my mandatory army service. In the War of Independence, 120 women lost their lives in battle and about 100 women were taken prisoner of war. When I began my tenure as chief of staff, there were already eight mixed IDF battalions. I added another two so that the Paratroopers and Golani could carry out additional training exercises. In 2008, due to pressure from these same individuals, the command was frozen. As a result, the IDF was turned into an organization like roads with no traffic lights. With no leader in charge, each commander did whatever he thought was right. And so, following recommendations from the committee that was convened during Benny Gantz’s tenure, I realized that there was a need for clear rules regarding what is and what is not allowed. That’s why I approved the IDF’s joint service protocol. It will be in effect for one year, at which time it will be reviewed. Police Commissioner Roni Alsheich has an even larger number of mixed gender units in the border patrol, and I don’t hear anyone lodging complaints about them. Just this past month the first unit of haredi soldiers who served for two years and eight months completed their military service. The IDF has grown by 5,000 soldiers since these soldiers signed up in 2015. Some people claim the IDF has not inducted nearly as many haredi soldiers as planned. But there is another way of looking at it: The number of haredi conscripts has risen 10-fold over the last decade. At this very moment, there are 7,000 such soldiers serving in the IDF, 400 of whom are officers or career soldiers. And what about female soldiers? There is also a rise in the number of female soldiers, the largest trend being among graduates of religious high schools. In 2011, there were 900 religious female soldiers; in 2017 the number rose to 2,400, and in 2018 this number is expected to reach 2,700. This is an absolutely incredible phenomenon. What are people so angry about? That I’m instigating a women’s revolution? This didn’t happen today – it happened 18 years ago when all these amazing women were born. They are joining an organization that is enabling them to keep their religious lifestyle while at the same time growing professionally and developing their skills and capabilities. This is a great opportunity for them to work side by side with secular Israeli commanders. Did you grow up in a religious home? I grew up in a traditional home. My mother would go to the synagogue, but I didn’t. I would go to my sailing club on Saturdays with Rabbi Yigal Levinstein [who today is the leader of the movement that opposes joint service, as well as a homophobe]. He was secular back in those days and his mother was an English teacher. He and his brothers were excellent sailors, much better than I was. They almost made it to the Olympics. He was a company commander of the 460th Bnei Or Armored Brigade and his brother was a Phantom pilot. So maybe the best thing to do is ignore all the mumbo-jumbo? When you’re working inside the IDF, you see the incredible gap between the public discourse and what actually goes on inside the organization. The military needs to be given support so that it can carry out its job. Surveys show that 90% of the public trusts the IDF, which is well above any other public institution in the State of Israel. The reason for this support is simply because the Israeli people know that the only way we can continue to exist is if we have a strong military. Have you experienced much pressure to make changes during your tenure as IDF chief of staff? This has been a constant since the founding of the IDF. But Israeli society has changed – it’s become much more violent – and with the onset of the Internet it’s become so easy to publicize all sorts of unintelligent and incorrect beliefs. We must unite together in order for the IDF to be strong and for us to win the war. To achieve this, we must resist the urge to always be making changes. We must be professional, impartial and stately. All of the criticism of me in my role as chief of staff revolves around these issues. I choose to do not what’s popular, but what is good for the IDF. My job as chief of staff is to build a wall around the IDF and prevent outside forces from influencing what goes on inside the military. An Israeli documentary titled The Ancestral Sin was recently screened. It tells a story similar to yours – about the son of Moroccan immigrants who live in the periphery, in Eilat, where you grew up. What’s your take on the film? I’ll answer you by telling you about my kids. When they came home from school and told me they wanted help on their family roots project, they asked me: Where are we from? Are we Ashkenazi? Sephardi? So I just repeated what my daughter’s friend (who was in a similar situation) would say: My parents are from North Africa and your mother was born in America, so I guess that makes you African-American. Just this past month the first unit of haredi soldiers who served for two years and eight months completed their military service.The IDF has grown by 5,000 soldiers since these soldiers signed up in 2015. Some people claim the IDF has not inducted nearly as many haredi soldiers as planned. But there is another way of looking at it: The number of haredi conscripts has risen 10-fold over the last decade. At this very moment, there are 7,000 such soldiers serving in the IDF, 400 of whom are officers or career soldiers. Israeli tanks and planes bombed Hamas sites in the Gaza Strip Friday evening after troops came under fire amid intense day-long clashes on the border. The Israel Defense Forces said it targeted three sites belonging to Hamas with tanks and from the air. There were no immediate reports of injuries from the attack, which came as the death toll in clashes along the border rose to 12, according to the Hamas-run Gaza health ministry. 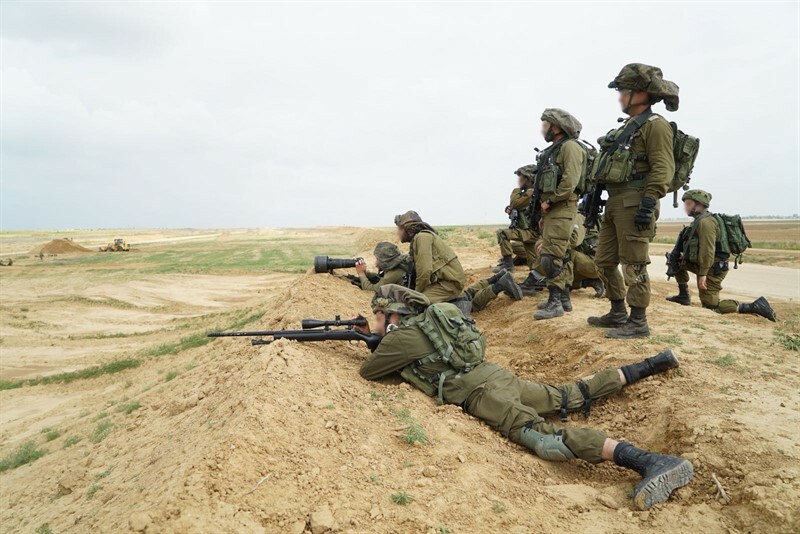 The reprisal attack came after troops were shot at by two Gazans approaching the security fence. No Israeli troops were hurt in the exchange, the IDF said. “In response, IDF troops immediately fired according to the rules of engagement, targeting the terrorists,” the IDF said in a statement. The army would not say if the two were hit. The IDF said troops also fired at suspects who had infiltrated into Israeli territory from the Gaza Strip via the security fence. The statement did not say if the suspects were still in Israeli territory. The army earlier said troops were firing on suspects who approached the border fence out of fears they could use the chaos of Friday’s large demonstrations as cover to plant bombs or infiltrate into Israel. “The Hamas terror organization is responsible for violent riots and everything taking place under its auspices. The IDF will not allow the security fence to be turned into an area of terror,” the spokesperson added. The cross-border exchange capped a day that saw some 30,000 Gazans protest at several points along the security fence, as part of a so-called March of Return that is expected to last six weeks, with Gazans camping in tent cities near the security fence ahead of a larger protest planned for mid-May. Gazan sources said at least 12 people were killed and over 1,000 more injured in the fighting. The army said protesters hurled firebombs and stones at troops and burned tires. Many of the injuries came from rubber bullets and tear gas inhalation, though the IDF used live ammunition as well. The shooting attack, which came as the darkness fell Friday, came shortly after an army official said troops would remain deployed along the border amid fears of persistent attacks. The official said this could include any number of things, including attempts to infiltrate the border, attacks with improvised explosive devices or rocket fire. “We are ready for any scenario,” an official said. This report is being updated regularly. Live feed from Israeli TV Channel 13. 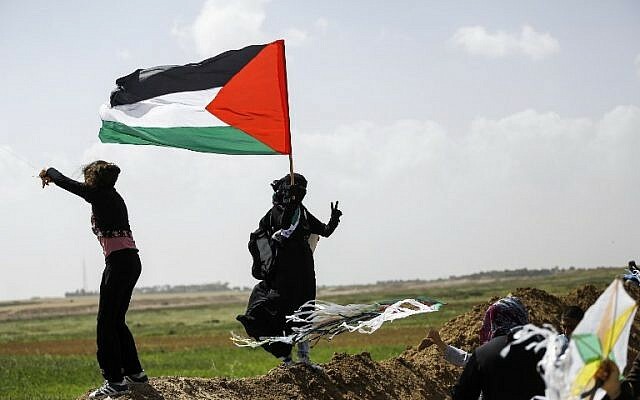 Thousands have gathered with Palestinian Authority flags about 700 yards from the security fence in eastern Gaza, and thousands more in a tent compound deep in the area. According to Arab reports, demonstrators entered the Erez industrial zone on the Gaza side of the security fence and broke security cameras. 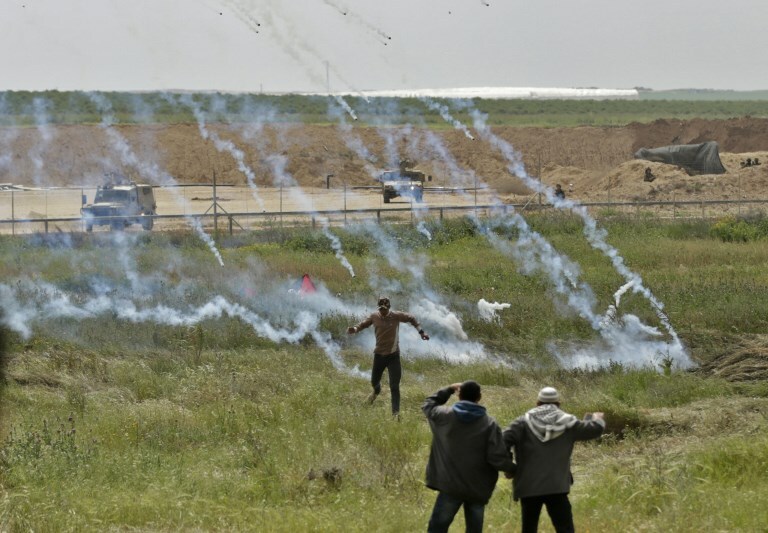 Dozens of Arab youths were injured by IDF rubber bullets in major rallies along the Gaza Strip border, even before the official marches planned to follow Friday prayers, around 2 PM local time, Ma’an reported Friday at noon. The Red Crescent crews on location are claiming 54 injuries in 6 confrontations along the border fence. Hamas leader Yahya al-Senawar and Ismail Haniyeh, head of the terror group’s political bureau, took part in the clashes. According to Ma’an, the masses continue to flock to the six sit-in areas announced by the Coordinating Committee for the Return in the Gaza Strip. 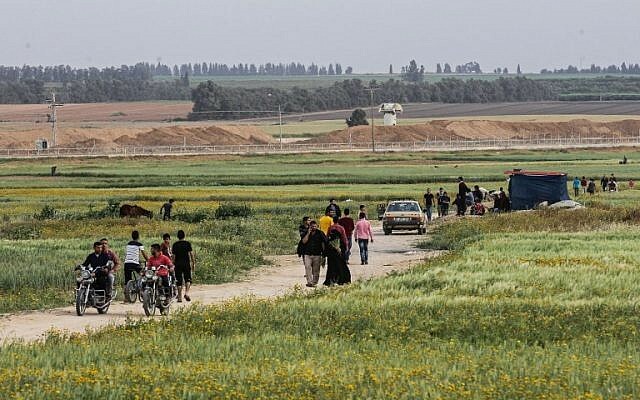 A Ma’an correspondent claimed that tens of thousands from all across the Gaza Strip are congregating at the security fence east of Al-Shujaiya, east of Al-Bureij, east of Rafah and east of Khan Yunis. Ha’aretz reported that five Arabs were injured from live IDF fire. 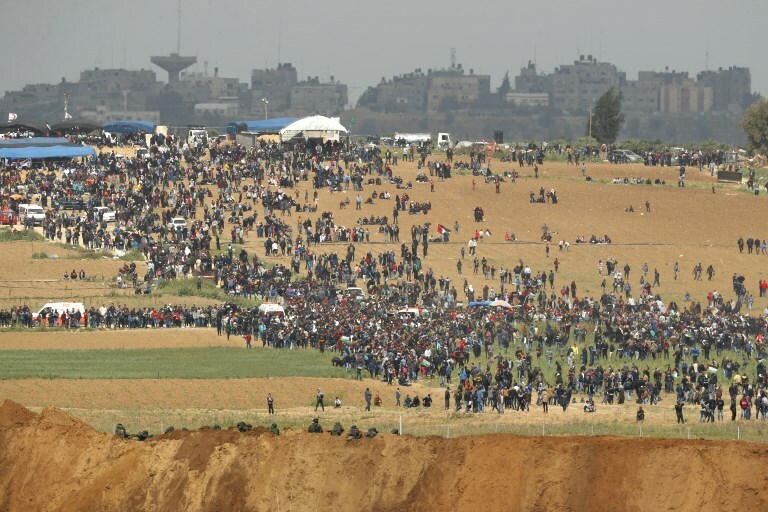 Update 2:00 PM: IDF estimates 17,000 Gazans have gathered by the border fence in 5 staging areas. 5 Gazans have been killed and 150 have been wounded after approaching the fence to damage it. At least one was trying to plant a bomb along the fence. 2:57 PM: Hamas sent a 7-year-old girl to rush the fence. IDF forces identified the child coming at them and made sure she got back safely to her parents. Arab media reports 7 dead Gazans. 3:13 PM 20,000 Gazans are along the fence. A few hundred have been wounded during violent demonstrations. “…the Iranians are determined to continue to establish themselves in Syria, and the next incident is only a matter of time,” he said, warning that Israel does not rule out that that the Islamic Republic will continue to try to attack Israel. Israeli troops opened fire at a number of Palestinian rioters who tried to damage the security fence around the Gaza Strip on Thursday, the army said. According to the army, approximately 200 Palestinians took part in violent protests at four main locations along the security fence, lighting fires and throwing rocks at Israeli soldiers on the other side. The soldiers targeted a handful of “main instigators” who were trying to pull down portions of the fence, an army spokesperson said. There were no immediate reports of injuries by the Hamas-run Gaza health ministry. The riots came as Palestinians in Gaza pitched tents near the volatile border with Israel ahead of a six-week protest camp under the gaze of wary Israeli soldiers. 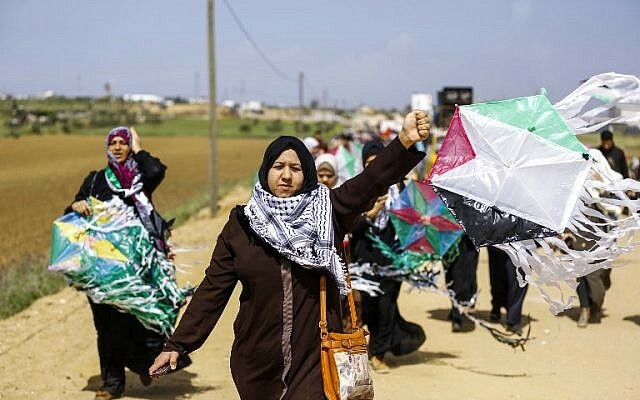 The exceptional protest is dubbed the “March of Return” and has the backing of the Gaza Strip’s terrorist Hamas rulers. The protest comes amid rising tensions as the United States prepares to move its embassy in Israel to Jerusalem. Organizers said it would be peaceful but Israeli officials are wary of a fresh flareup along the enclave’s border. “A big portion of the army will be invested there,” Eisenkot told the rival Yedioth Ahronoth daily on the same day, adding that more than a hundred snipers, most from “special units,” had been stationed in the area. The first protest is set to kick off on Friday, when Palestinians worldwide mark Land Day, which commemorates the Israeli government’s expropriation of Arab-owned land in the Galilee on March 30, 1976, and ensuing demonstrations in which six Arab Israelis were killed. It is also, by coincidence, the eve of the week-long Passover festival. Camping and protests in Gaza are expected to continue until mid-May, around the time the US is set to inaugurate its new embassy in Jerusalem. 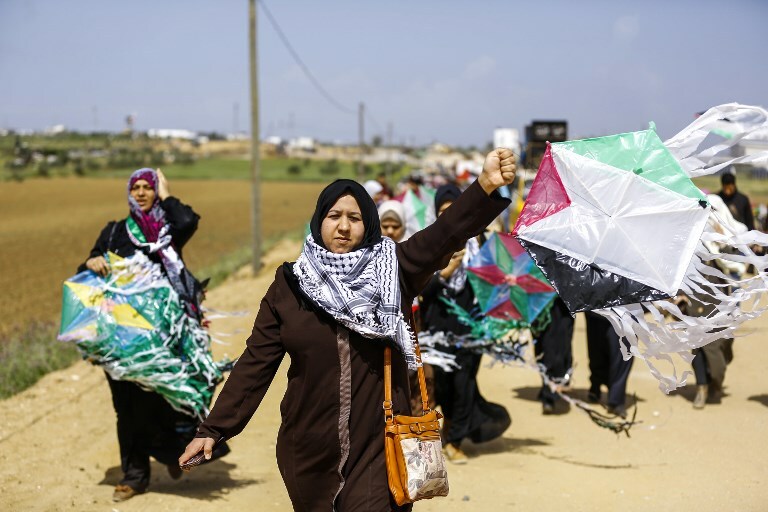 Mid-May will also mark the anniversary of the Nakba, or catastrophe, which saw hundreds of thousands of Palestinians flee their homes during Israel’s 1948 War of Independence. 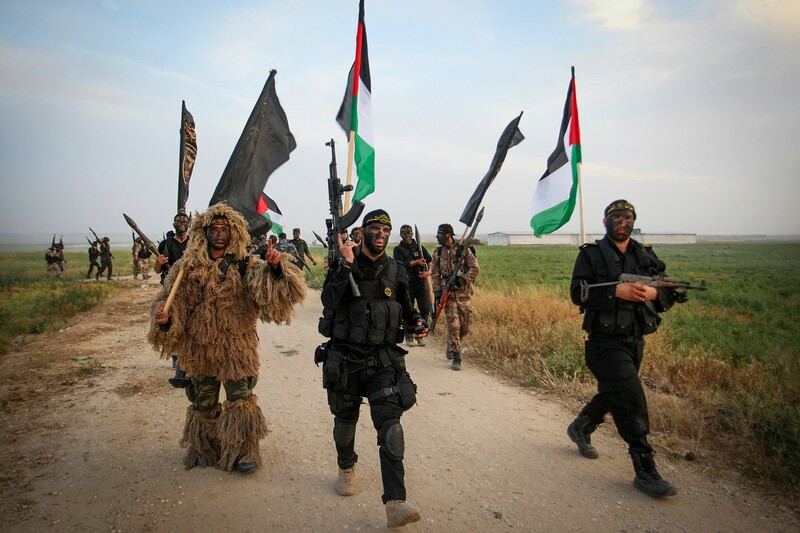 Khaled al-Batsh, the leader of the Islamic Jihad terror group, which is among the planners of the protest, said tents would be located 500 meters from the border, just outside the buffer zone between Gaza and Israel. Water facilities were being installed and medical teams deployed to allow people to stay for long periods. Organizers said tens of thousands of people would attend Friday’s protest, although it was not clear how the estimate was reached. Batsh said protesters were calling for Palestinians to be allowed to return to land that is now inside Israel. “Seventy years ago we left and today we have decided to return to our country,” he told AFP. But senior Hamas figure Salah Bardawil said that while protesters might breach the border, they were not planning to do so. Hamas officials say they will monitor the area beyond the camp sites to prevent protesters going too close to the frontier, at least during the initial days of the protest. Five main campsites have been set up, spanning the length of the coastal territory from near the Erez border crossing in the north to Rafah in the far south, near Egypt. On Thursday, around 20 family tents were pitched at a site near Erez, alongside two larger community tents for performances including the traditional Palestinian “dabke” dance. At another site, young men were putting the finishing touches on dozens of wooden toilets, while large generators whirred into life. Another organizer, Tahir Sawirki, told AFP Palestinians would gather Friday in groups representing the towns they left in 1948. He said tens of thousands of meals would be prepared for more than 100,000 expected participants. Meanwhile, Defense Minister Avigdor Liberman warned Palestinians that anyone who cooperates with Hamas on its planned mass tent protest will be forever banned from entering Israel. He accused Hamas of escalating tensions by offering residents benefits to participate in the tent protest. “No Palestinian from Gaza comes willingly to confront IDF forces on the border. They are all Hamas operatives or family forced to come — the bus rides, free internet, toilets, tents. Soon they’ll have a rock concert so people will come,” he joked. “We are prepared, and I’m sure we will enable the Israeli public to celebrate Passover calmly and with security,” Liberman said, adding later in a tweet that “many soldiers” would not be furloughed for the Passover Seder. Liberman called on Gazans to refuse to come and to revolt against the Hamas regime. Michael Bachner contributed to this report.